Crunched on time? This HIIT workout under 10 minutes is sure to pump up the heart rate and give you that extra needed jump start to your day. Instructions: The exercise chart is read from left to right and then top to bottom. Complete the desired exercise for 30 seconds and then rest 10 seconds. 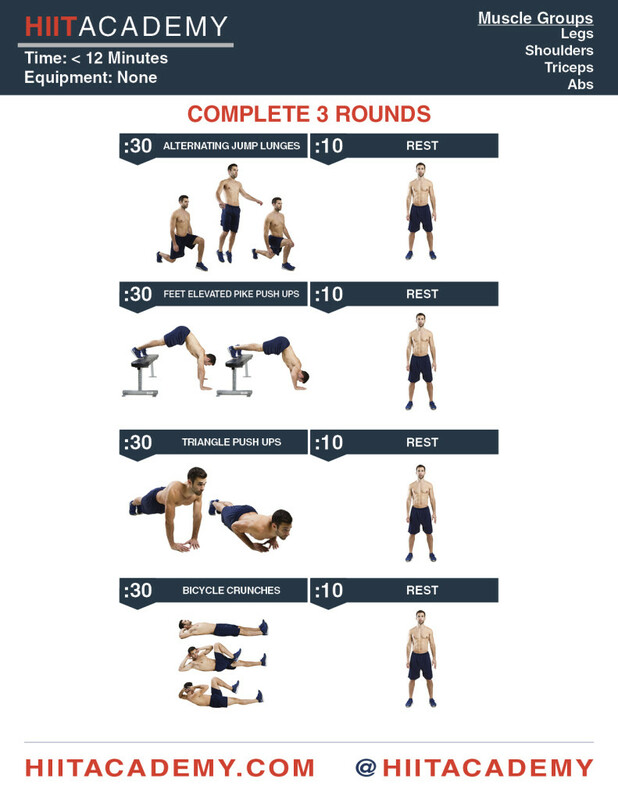 Move to the next exercise and repeat for a total of 3 – 4 rounds.